High performance urethane adhesive used for interior and exterior installations of Roppe Sports Flooring. 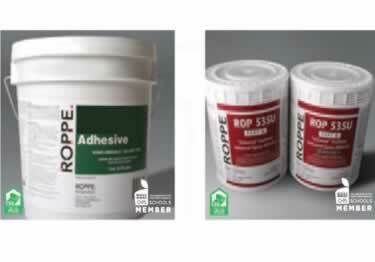 Can also be used for exterior installations of Roppe Rop-Cord Flooring. Coverages shown are for estimating purposes only, actual job- site coverages may vary according to substrate conditions, trowel conditions and/or application methods.